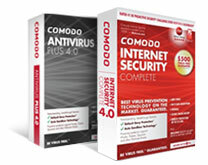 Major Retailers Now Offer Comodo's Guaranteed Antivirus Protection. Most Internet Security Software Has Gone Soft on Malware! August looks like being a bumper month for users of Comodo's desktop products with updates or new releases planned for 5 products. Click Here to see what we've got lined up for you. "What's the best way to protecting yourself from all those annoying little PC problems everybody eventually experiences? Ask GeekBuddy, of course!" Rodney Dangerfield once walked into a doctor's office to get a medical opinion. As soon as the nurse ushered him into the physician's office he said, "Hey Doc, I want your opinion." The doctor happened to be sitting at his desk writing. Annoyed by Rodney's curt interruption, he looked up, took one look at the comedian and... The Doctor said, "Mr. Dangerfield, you are really ugly!" Indignant, Rodney complained, "What kind of doctor are you? I want a second opinion!" So the doctor looked him up and down and said, "Okay, you need a new suit, too!" True story.